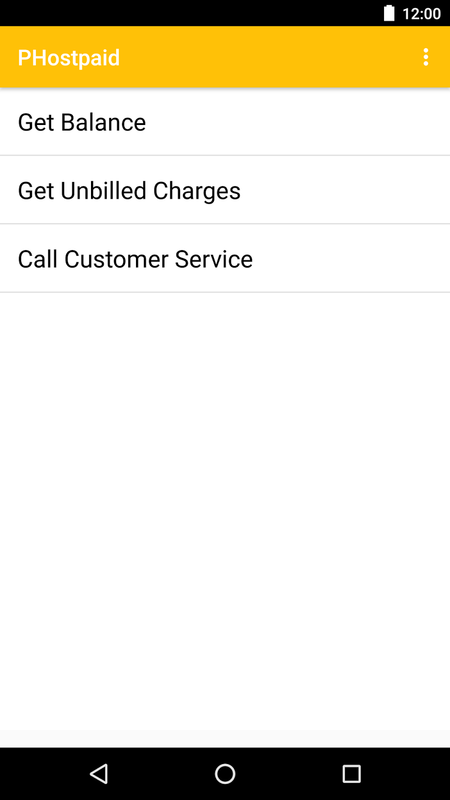 A few days ago, I published an update to PHostpaid, a utility app for postpaid mobile phone services in the Philippines (Globe, Smart, Sun Cellular). PHostpaid is one of the first Android apps that I have developed. I started developing it back in 2011. That time, I just bought a Nexus S, and had a new Globe postpaid plan. Nexus devices do not (yet) have a SIM tookit and Globe does not have an app for it. To check my balance and unbilled charges, I have to always text some keywords to a number. It was annoying for me so I decided to build a simple app for myself. I was also thinking of an actual app to build that time. A few days after developing and using the app for personal use, I decided to publish the app on Google Play Store. Before publishing, I wanted to add the other mobile operators in the Philippines (Smart, Sun) offering postpaid mobile services. I had to do extensive research (including asking existing subscribers from these telcos) to be able to update the app. I was never that good in choosing titles for my articles so I was not sure how to name the new app. The name I chose was just "Postpaid" and I just changed the first letter P to PH (for Philippines ). In the next few months, I had published a few updates to the app. The last update I had was in the third quarter of 2014. I decided to update the app now with the Material Design toolbar and handling Marshmallow permissions. If you want to try the PHostpaid app, download it now on Google Play Store now.